Everton could reportedly consider the sale of Theo Walcott in the summer with manager Marco Silva keen on bringing a new wideman into the club's ranks. 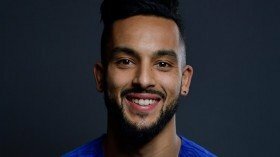 Walcott has made 45 league appearances since joining the Toffees from Arsenal last January but he has recently struggled for regular gametime with the club. According to The Mirror, director of football Marcel Brands is determined to pursue younger players in the market and Walcott could be one of those sacrificed to boost the finances for the summer. The former Southampton graduate has more than two years remaining on his existing deal with the club, and it appears that he could be offloaded for a fee of around £20m when the transfer window reopens at the end of the season. Richarlison and Bernard have been the regular choices for Silva in the wide positions in recent weeks and the duo are likely to retain their places for the weekend's league meeting against Arsenal.